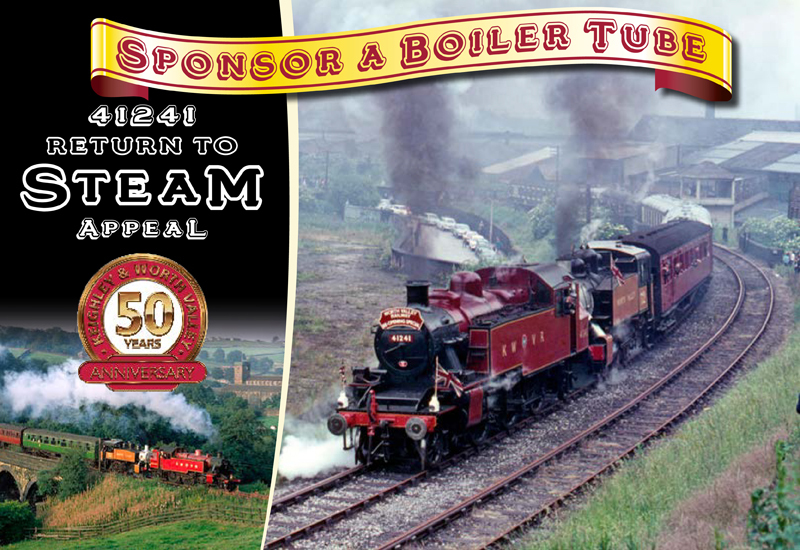 We are launching our 50th Anniversary Return to Steam appeal for the Ivatt tank locomotive, 41241, with an opportunity for you to sponsor individual replacement tubes in the engine’s boiler. This will be the first of many activities we are planning to raise the total funding required to get the Ivatt tank engine back into steam in time for the big anniversary celebrations in June 2018. The boiler is at the heart of the process of converting heat from the burning of coal, into the steam pressure which drives the pistons and wheels of the locomotive. We are now starting the work to replace each of the 12 large and 162 small steel tubes that run through the length of the boiler, carrying the hot air from the firebox and out to the chimney, but we urgently need funds to progress with this stage of the work.